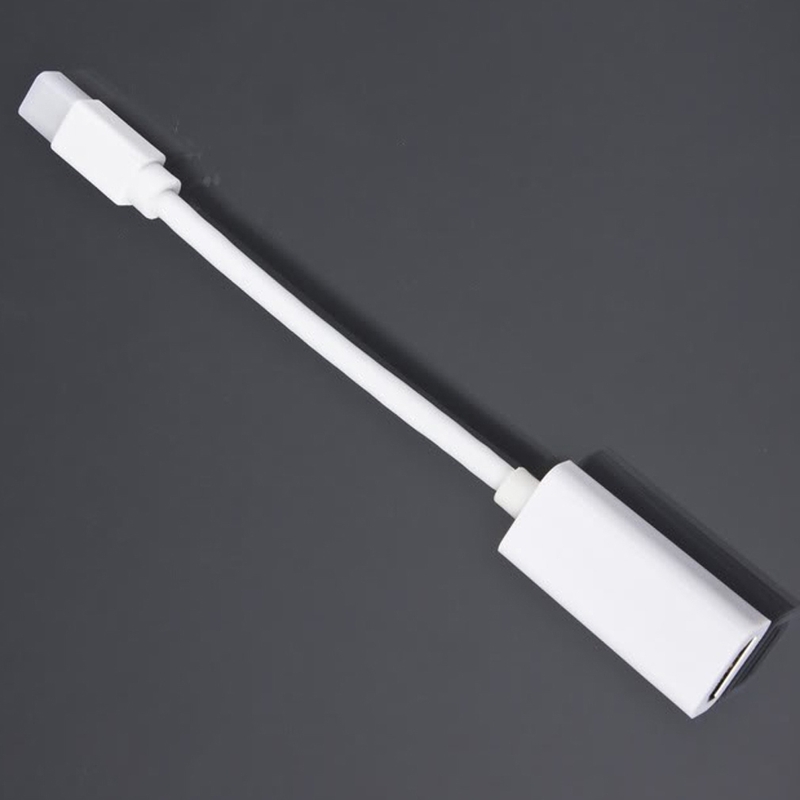 The new MacBook, MacBook Pro, and MacBook Air each have a Mini DisplayPort that allows you to connect an external display or projector using this adapter. You can use an external display as your main workspace or to extend your desktop, or you can work in mirrored mode with a projector so you can view what your audience sees. 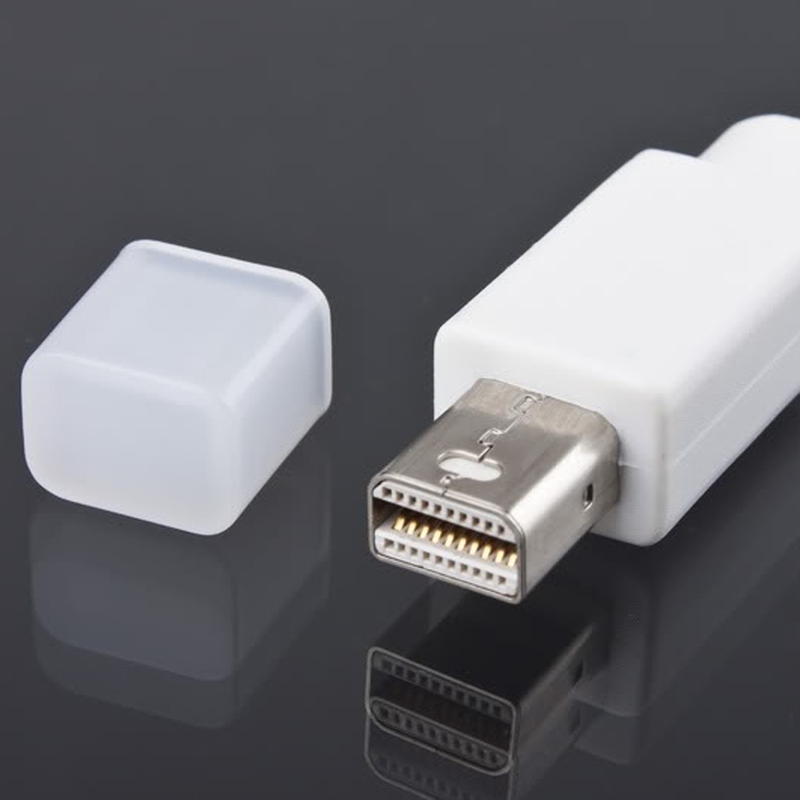 Use the Mini DisplayPort to HDMI Adapter to connect an advanced digital monitor and LCD TV, such as 46- or 52-inch LCDTV, that includes a HDMI connector. Review the documentation or check with the manufacturer of your monitor to make sure you’re choosing the right adapter. Connect Mac, MacBooks, PC laptops to monitors,HD-TVs, and projectors. 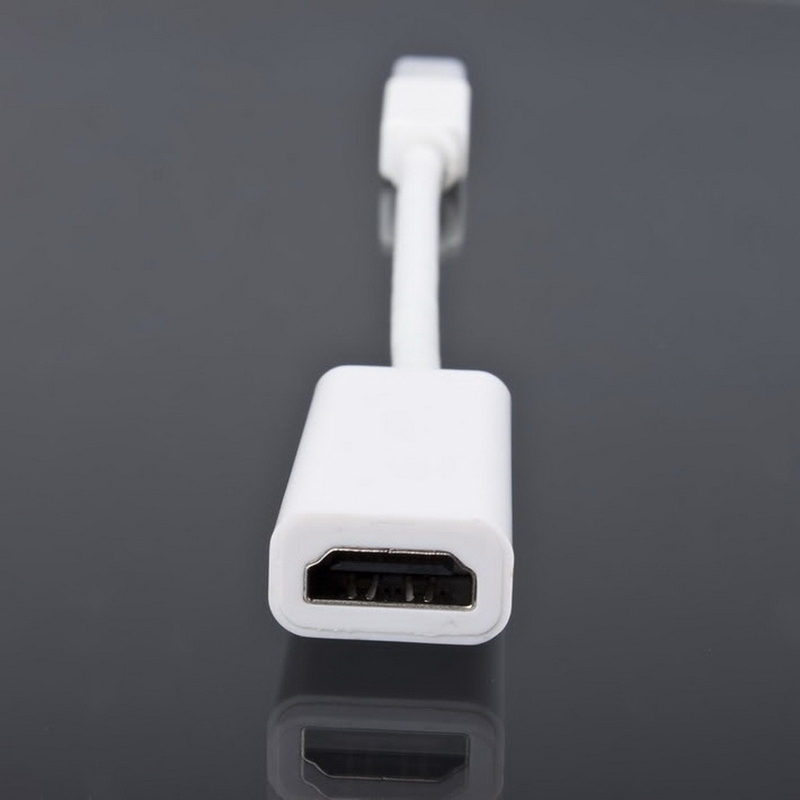 Compatible with Mac computers, MacBooks equipped with Mini DisplayPort. 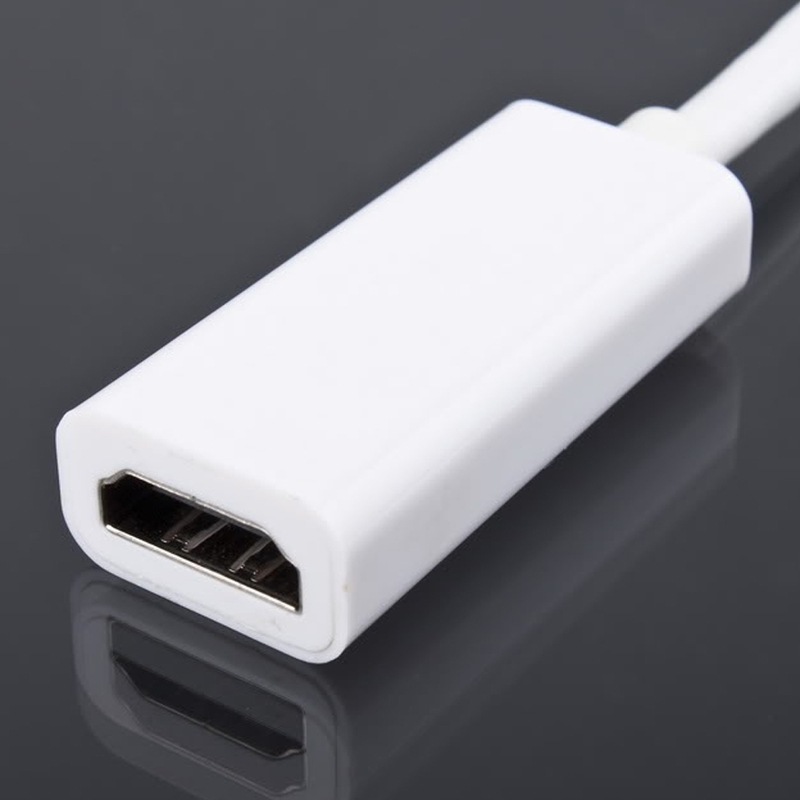 Compliant with Mini DisplayPort 1.1a, HDMI 1.3b. Portable, and easy to carry. Support resolutions: up to 1080p (FullHD) and 1920 x 1200, no compromise in video quality. Support DTS/DTS-HD, Dolby Digital / Dolby TrueHD, and Linear PCM (LPCM). Color: White (consistent with your Apple computers). 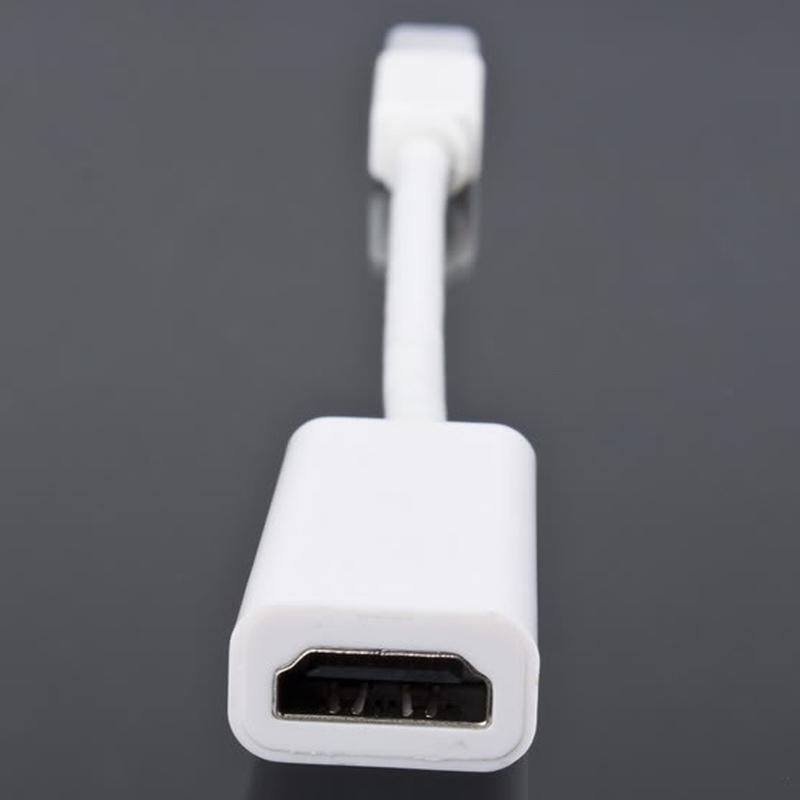 1 x Mini Displayport to HDMI adapter.